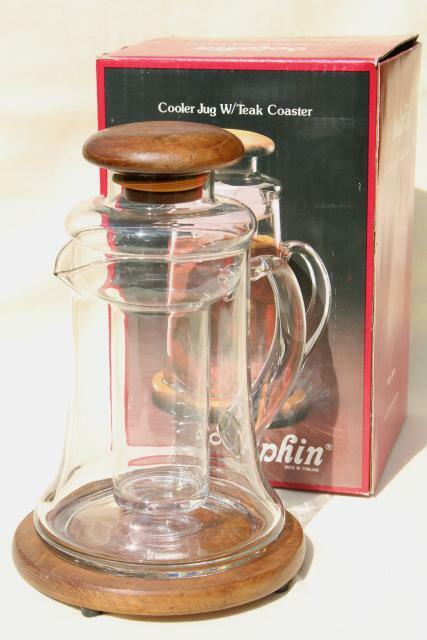 Late 70s or early 80s vintage Dolphin teak wood and glass cooler jug set. 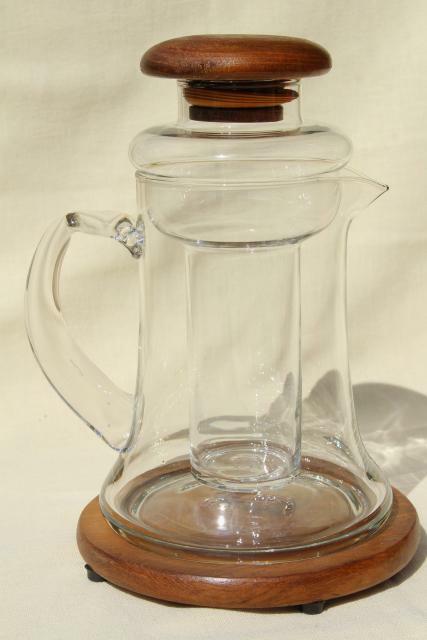 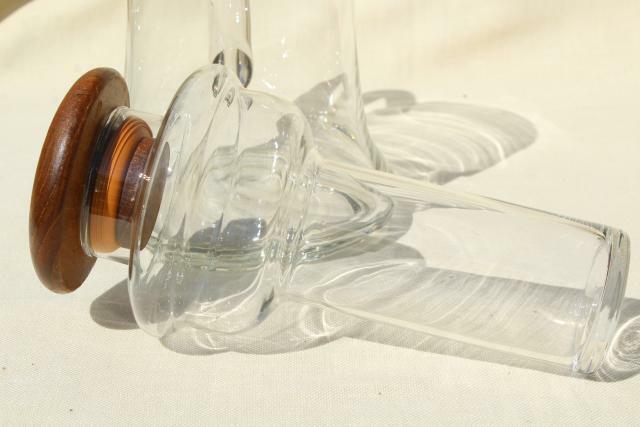 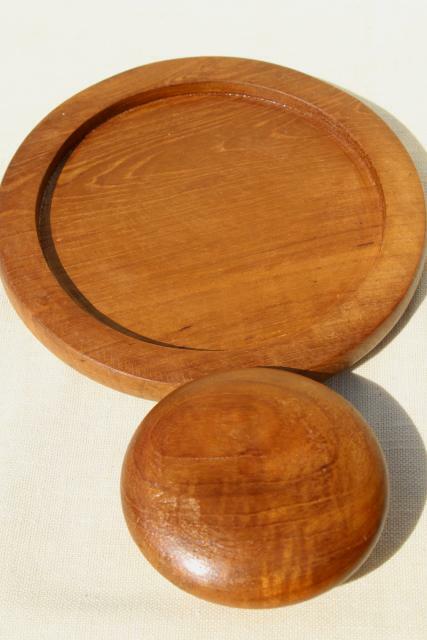 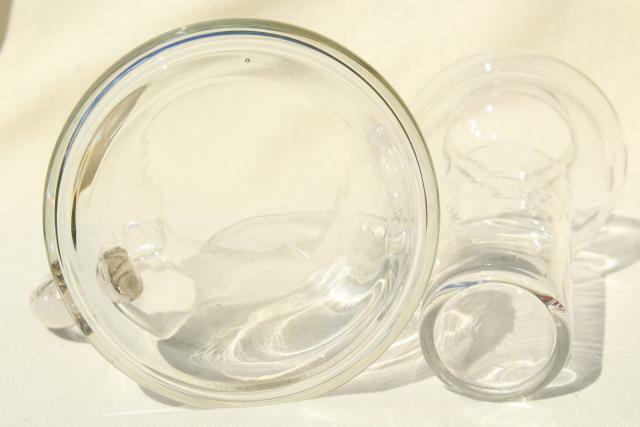 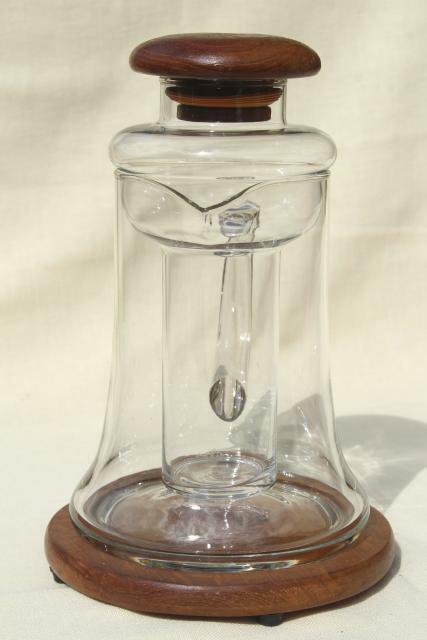 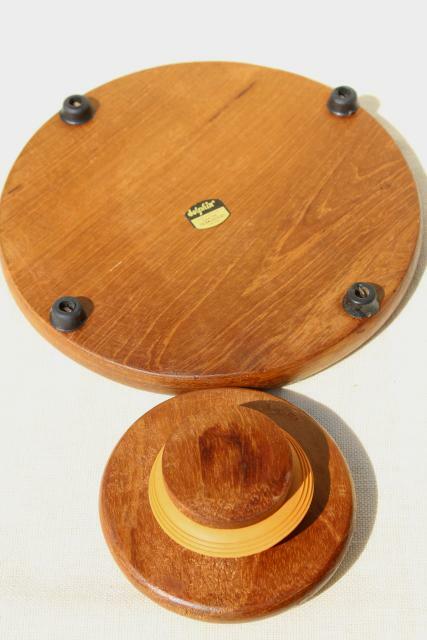 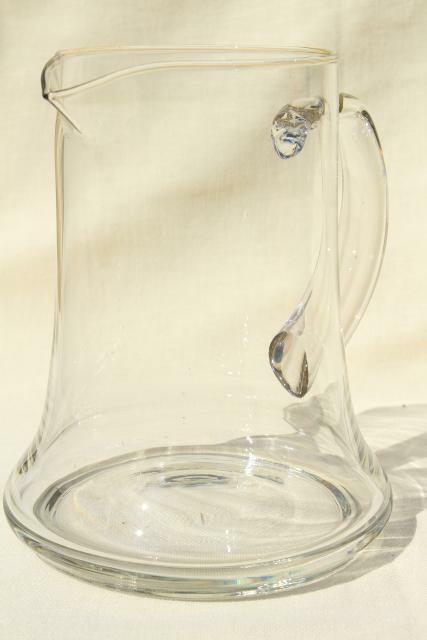 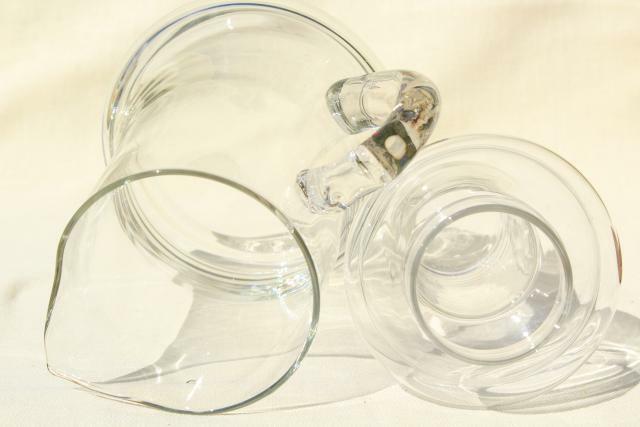 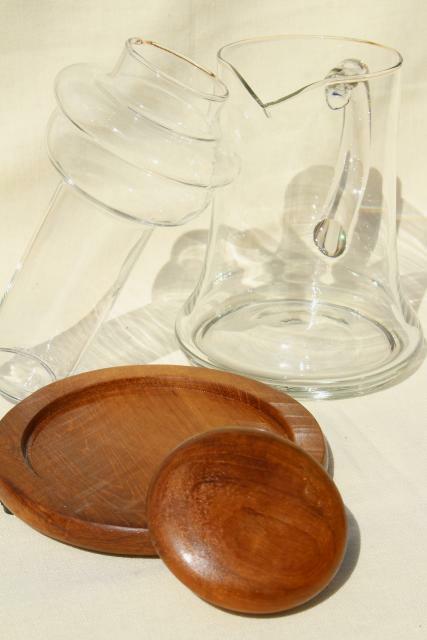 This is a glass pitcher with glass ice insert, teak coaster trivet and teak lid. 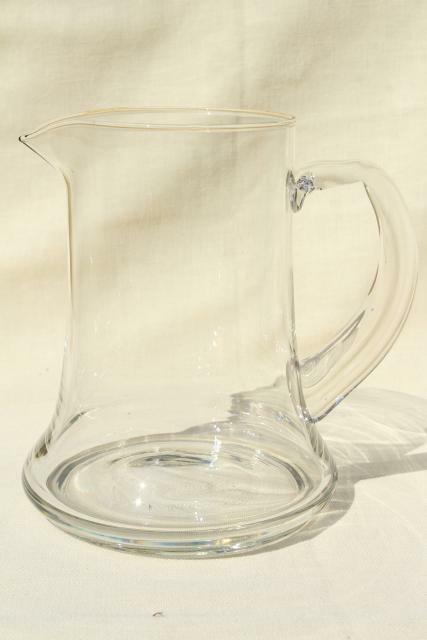 The pitcher is about 9 1/2" tall. 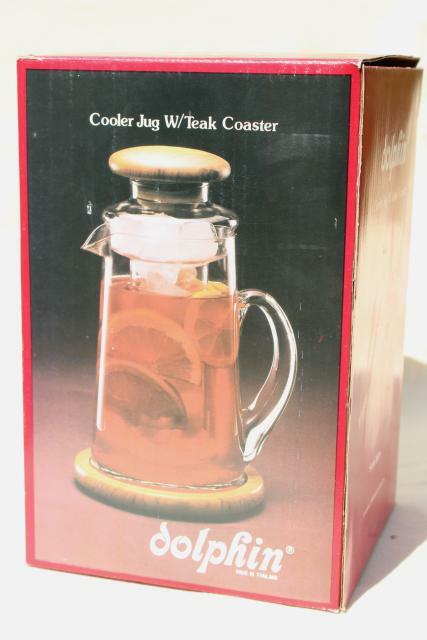 This is complete in the original box... the box has some wear, but I don't believe the pitcher has ever been used.